Hi there! My local Home Bargains store is now stocking Kirstie Allsopp products for only £1.99 each (they’re about £8 each at Waitrose). So I got myself three 400ml rose-scented products. 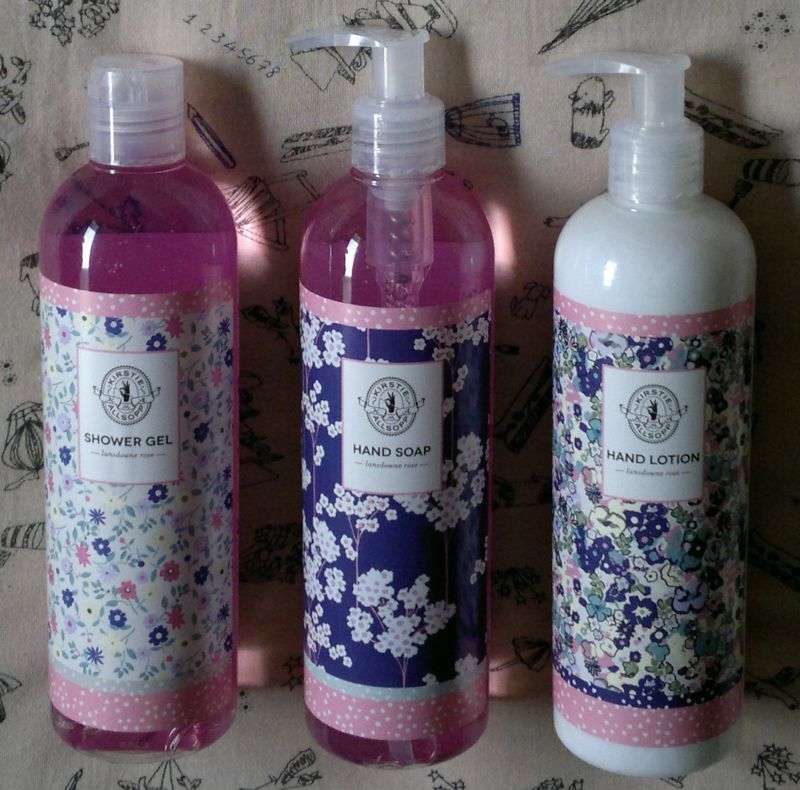 Meet Kirstie Allsopp Lansdowne Rose Shower Gel, Hand Soap and Hand Lotion. I like that the shower gel and the hand soap aren’t drying at all. And the hand lotion is non-sticky and fast-absorbing – and it makes my hands feel moisturised and soft. I like! Now let’s get to the fragrance! I think this Lansdowne Rose fragrance is very nice. Most of the time I find rosey scents a bit annoying. I think they’re usually not very well done – or they smell a bit sweaty. But this rose fragrance is absolutely perfect. It’s clean, clear, feminine and it’s very ‘Turkish delight’. Very nice! I also love the cute bottle designs. And I think these products would look great in a home-made gift box or hamper. If you’d like to try Kirstie Allsopp products for less than their RRP, you should swing by your local bargain stores. Good luck!